Are you starting to hear or feel the signs of a wearing or slipping clutch? Automotive clutches can last anywhere between 20,000 and 100,000 kilometres, depending on how your drive your car. Riding the clutch and quick take-offs from traffic lights will wear your clutch faster. If you mostly drive in country conditions, then your clutch will probably last longer, as there is less 'disengagement'. 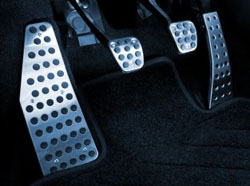 In city driving the clutch is constantly being used, so it tends to wear out faster. **More on identifying when your clutch is due for replacement in our FAQ section.. If you are replacing your clutch you need to look for OEM in the description of any parts or clutch kit that you are purchasing. OEM or Original Equipment Manufacturer, means that parts are built to manufacturers specifications or greater and will generally give you the highest quality and reliability. All Exedy parts meet OEM Standards. If you are not buying from a supplier who is recognised and respected then you risk purchasing 'remanufactured parts'. Remanufactured parts have been removed from an existing vehicle, and have been repaired and then reassembled and tested. Yes, you may save a few dollars in the short term, but it will not serve you in the long run as these parts can be prone to having fitting issues and higher failure rates than OEM parts. Do you really want to risk your (and your family's) safety with either of these potential problems? Exedy have an easy Clutch Finder to help you find the correct replacement parts for your vehicle. Exedy clutch kits contain a cover assembly, clutch disc and release bearing. Some clutch kits also come with a flywheel, dependent on the make and model of your vehicle.